The Ecovacs DEEBOT 600 handles the cleaning of your floors so you don't have to. Control your robot vacuum entirely via app and even set schedules so your floors are cleaned when you are out of the house. The Ecovacs DEEBOT 600 is your perfect cleaning companion. It saves you time and cleans efficiently, while protecting your flooring. With different cleaning modes to pick from, you can easily setup cleaning schedules with your phone. You can also use the free Google Home Hub, to control using your voice. The Ecovacs DEEBOT 600 cleans, picks and mops at the same time. It works on a range of surfaces and can also clean up dried liquids. Choose from Max mode or Hard floor cleaning mode, depending on how dirty the house is. Set cleaning schedules when you're away so you always come back to a tidy home. The free Google Home Mini can control the DEEBOT 600, using simple voice commands. You can also use the Google Home Hub as a digital photo frame, to add personal touches to your home. Three-stage cleaning: The DEEBOT 600 uses edge cleaning brushes and the V-shaped main brush to simultaneously sweep, lift and vaccum in a single go. Smart cleaning path:With this mode, the Ecovacs DEEBOT 600 optimizes for hard floor cleaning and ensures that it follows an advanced cleaning pattern. It uses smart motion to clean carpets and hard floors. Automatic charging: No need to worry about charging it constantly! When the battery starts to get low, Ecovacs DEEBOT 600 automatically returns to its charging dock station, all by itself. Stair safety technology:The Ecovacs DEEBOT 600 uses anti-drop sensors to clean around stairs safely without any damages. Voice assisted control:Use simple voice commands with the Google Home hub, to manage your cleaning schedules with Ecovacs DEEBOT 600. 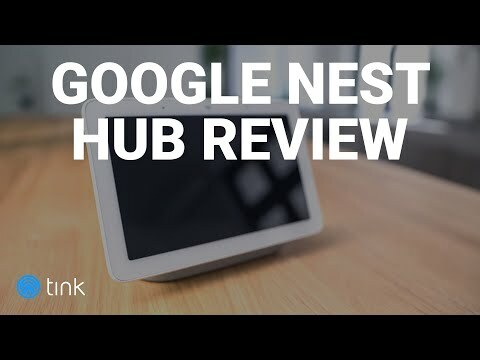 Overview of your connected home:The Google Home Hub gives you an overview of all connected devices in your home. It lets you manage all smart devices easily, with the Google Home app. The Ecovacs DEEBOT 600 learns and adapts to your cleaning schedule, the smart way. It uses a smart mopping system to reach difficult corners and switches between cleaning modes, depending on the mess. It has built-in sensors that allow it to move around obstacles and soft cushion bumpers to avoid scraping against your furniture. You can also use your voice with the Google Home Hub, to manage all connected devices in your home. Sit back and clean your home anytime, anywhere! Experience advanced cleaning with the DEEBOT 600 and free Google Home Hub. Set cleaning schedules, pick from cleaning modes and schedule cleaning, just using the mobile app. With the Ecovacs DEEBOT 600 in your smart home, you can control the robot from anytime, anywhere using the intuitive mobile app. Cleaning up after a party? The Ecovacs DEEBOT 600 is your perfect cleaning companion. It will reach into difficult corners, clean up any spilled drinks and leave your floor sparkling clean! Both the Ecovacs DEEBOT 600 and Google Home hub can be easily installed, in a few minutes. The Ecovacs DEEBOT 600 is sturdy, cleans efficiently and uses anti-drop sensors to avoid any damages. The Google Home mobile app lets you manage all connected devices seamlessly. The Ecovacs DEEBOT 600 and Google Home hub bundle offers functions to enhance your smart home experience every day. The Ecovacs DEEBOT 600 and Google Home hub communicate with each other seamlessly. The Ecovacs DEEBOT 600 has a modern and sleek design that blends in perfectly with your smart home. All your conversations with Google Home Hub are encrypted. It collects information only after a voice command is used. If you're looking to automate your cleaning process and manage other smart devices, this bundle comes at a great price! Can I use the Ecovacs DEEBOT 600 to clean my pet's hair? Yes, the Ecovacs DEEBOT 600 will pick and clean out pet hair too. What different types of surfaces can it be used on? The Ecovas DEEBOT 600 can clean different flooring types. It can be used on wood, tiles and carpets and switches the cleaning modes automatically. How do I pair the Ecovacs DEEBOT 600 and Google Home Hub? You can easily add any new devices, including the Ecovacs DEEBOT 600 by using the Google Home mobile app.